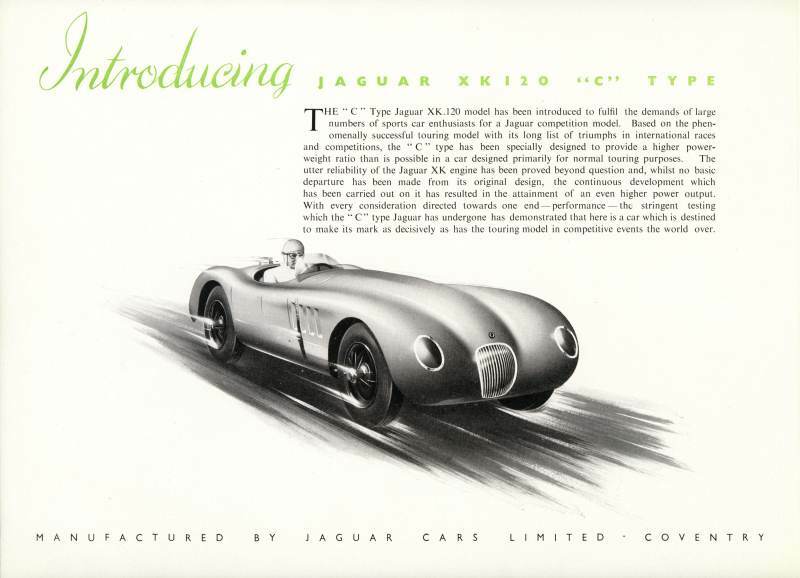 The well known folder for the XK120 'C' or C-Type, often copied due to its scarcity. 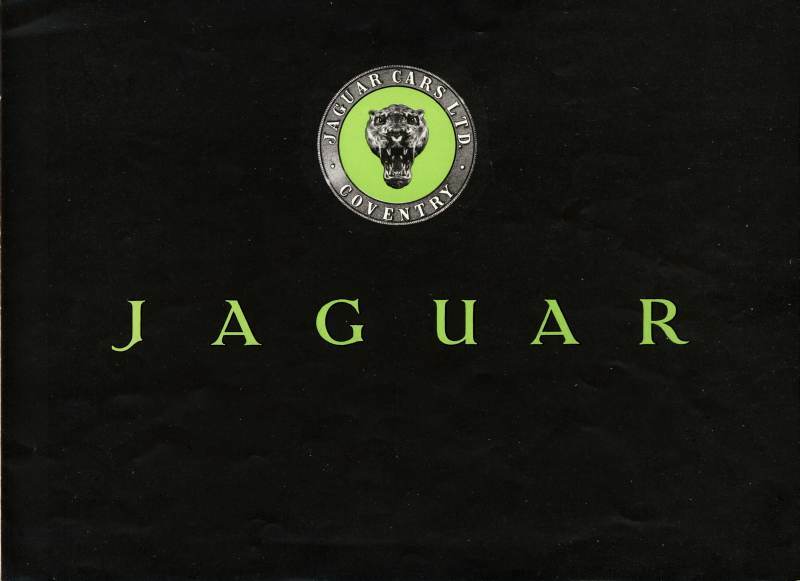 The folder, in common with the D-Type version, was never issued for release to the public. 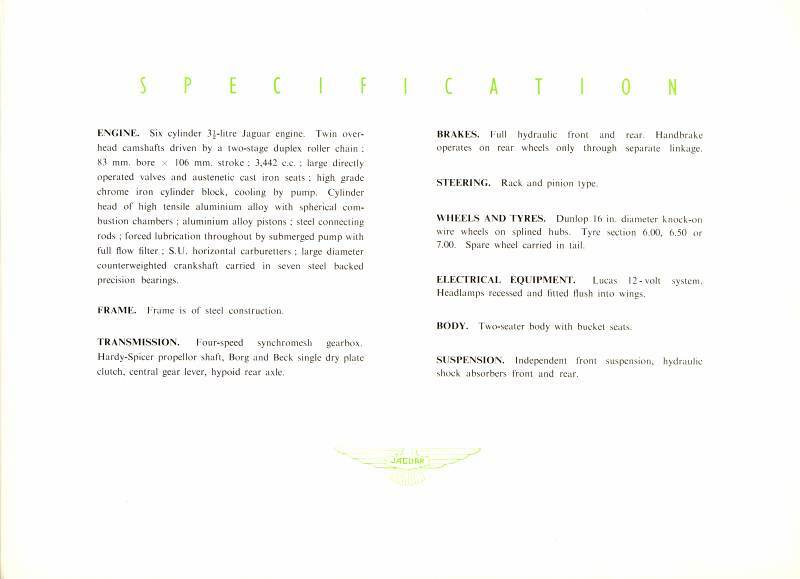 It was printed purely for compliance with homologation rules in the early 50's and hence gives the barest information on the vehicle. 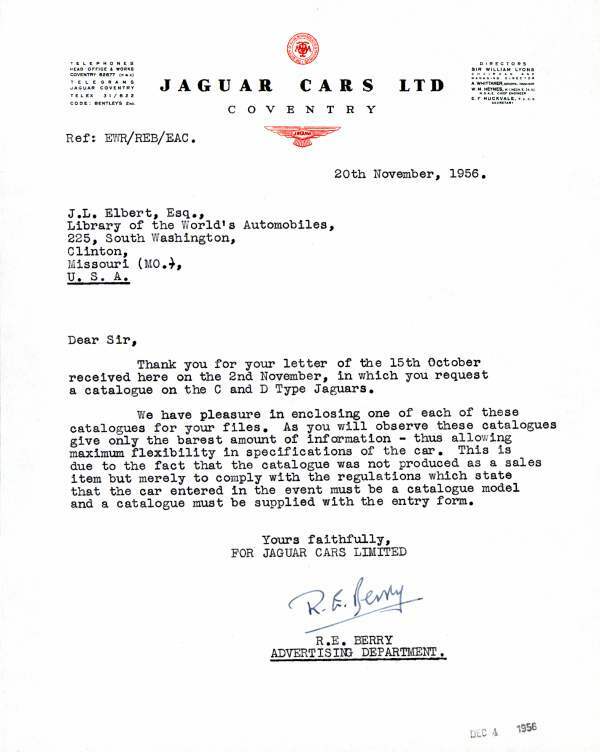 For confirmation of this, see this 1956 official Jaguar factory letter sent to J Elbert in the USA which confirms that the folder was not intended as a sales item. Does anyone have any idea how many were printed? The two folder variations are shown here. Page 2 carries an illustration on one while the other uses this same space for a list of competition successes (the latter is probably the rarer) - otherwise both are identical. 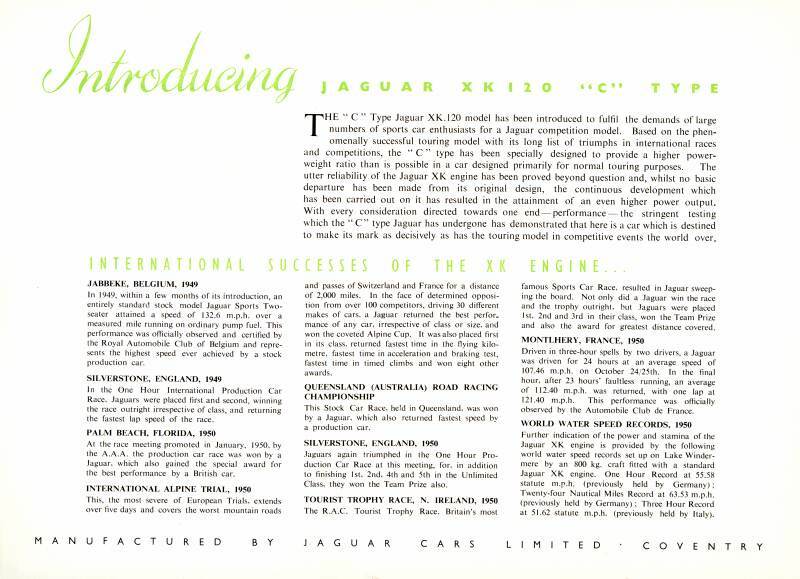 Ian Cooling in Jaguar Automobilia Collector Vol 1 No 11 p12 suggests there may be a third version (possibly a proof, less likely an error) showing just white space where the illustration should be but this is unconfirmed. There are a number of reproductions. 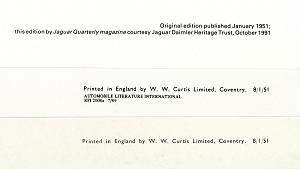 The two I have (of the illustrated version) are both clearly marked as copies by their originators but I have seen at least one that was not marked as being a copy. 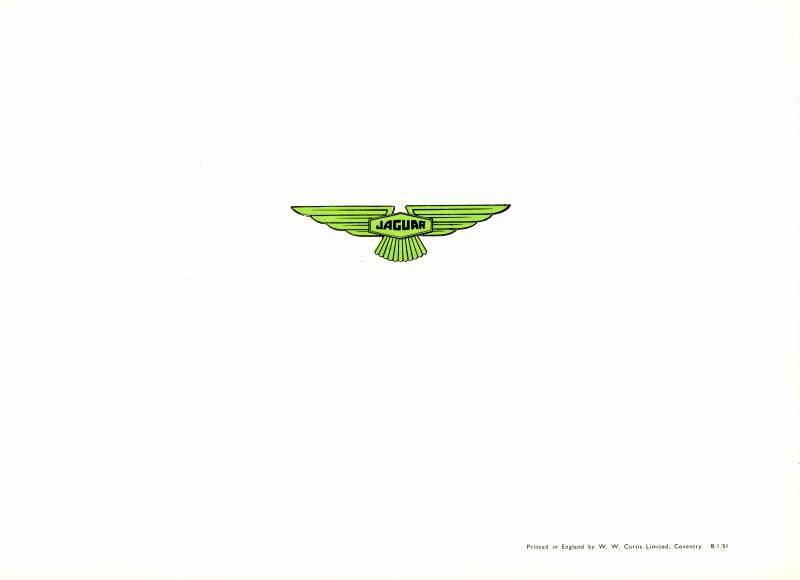 If you own a copy and are not sure of its status, please contact either myself or Ian Cooling.